Copyright Litigation Blog: May Germany Launder Nazi Looted Art In New York? Federal Judge Concludes "Yes"
May Germany Launder Nazi Looted Art In New York? Federal Judge Concludes "Yes"
the Hon. Jed S. Rakoff dismissed a case by Jewish heirs seeking to recover Nazi looted art that had been spirited to New York, and then repurchased by Bavaria, where the stolen artwork now proudly hangs in a Munich museum. The SDNY threw the case out pursuant to a motion to dismiss, which means that the plaintiff was deprived of his day in court and no factual record was created from which an appellate court could determine whether or not the plaintiff had proven that the work was stolen. To understand why this decision is so repugnant to U.S. and New York policy, a bit of history is in order. Adolph Hitler and a band of criminals took control of Germany in the spring of 1933 through violence and intimidation. They abolished democracy and the rule of law and immediately set up a kleptocracy that targeted Jews and Jewish property. Following World War II (a war won by the U.S. and its allies), the U.S. participated in legal proceedings at Nuremberg. Hitler and the Nazi regime were deemed a band of criminals. The US and its Allies vowed in the London Declaration of 1943 to undo the Nazis property crimes against Jews. From the beginning of the Nazi regime, New York law refused to recognize Nazi forced transfers and opened its courts to Jewish refugees, epitomize in the famous case of Holzer v. Reichbahn (1936) where Marcel Holzer, who had been thrown into a concentration camp and deprived his pension by Germany, was allowed to seize the furniture of the Nazi regime located at the German Consulate. N. V. NEDERLANDSCHE- AMERIKAANSCHE STOOMVAART- MAATSCHAPPIJ (Chemical Bank& Trust Co., Third-Party Defendant). No. 21193. Submitted Jan. 11, 1954. Action by owner of all the stock in German liability company against Dutch corporation which had converted such stock in participation in plan with Nazi officials, seeking to follow proceeds of the property in the hands of the transferee. On petition to amend a prior mandate handed down in a prior appeal, 173 F.2d 71, the Court of Appeals, held that where subsequent to mandate ordering plaintiff to refrain from alleging matters which would cause court to pass on validity of acts of officials of German government, Executive Policy of relieving American courts from any restraint upon exercise of their jurisdiction to pass upon validity of acts of Nazi officials was declared, mandate would be amended by striking out all restraints based on inability of court to pass on such acts. Where subsequent to order of court directing plaintiff who claimed to have been deprived of his stock in a German corporation, to refrain from alleging matters which would cause court to pass on validity of acts of officials of the German government, Executive Policy was declared in State Department release, stating that it was government's policy to relieve American courts from restraint upon exercise of their jurisdiction to pass upon validity of acts of Nazi officials, mandate previously issued would be amended by striking out all restraints based on inability of court to pass on acts of officials in Germany during period in question. *375 Bennet, House & Couts, New York City, for plaintiff-petitioner; Victor House, Albert I. Edelman and Werner Ilsen, New York City, of counsel. Burlingham, Hupper & Kennedy, New York City, for defendant Holland-America Line; Harold M. Kennedy, and Harvey C. Allen, Jr., New York City, of counsel. Sherman & Sterling & Wright, New York City, for Third-Party Defendant, Chemical Bank & Trust Company; John A. Wilson, M. VanVoorhies and Edmond K. Leach, New York City, of counsel. Petition to amend the mandate of this court handed down in a prior appeal in this case, 173 F.2d 71. Petition granted. Before AUGUSTUS N. HAND, CLARK and FRANK, Circuit Judges. So it is clear that New York State and the Second Circuit have committed - decades ago to providing remedies to Jews despoiled by the Nazi regime and their familes. This month we commemorate the seventieth anniversary of the Inter-Allied Declaration against Acts of Dispossession Committed in Territories under Enemy Occupation and Control, known as the London Declaration of January 5, 1943. Beginning with the London Declaration, the United States implemented a policy of returning Nazi-confiscated art, including art taken through forced and coerced transfers, to its countries of origin, with the expectation that the art would be returned to its lawful owners. Under U.S. leadership, the international community has endorsed these principles as well. In the 1998 Washington Principles on Nazi-Confiscated Art and the Terezin Declaration of the 2009 Prague Conference on Holocaust Assets, more than forty countries joined the United States in agreeing that their respective legal systems or alternative dispute resolution processes should facilitate just and fair solutions for art that was taken by the Nazis and their collaborators. In reaffirming these commitments, the Department of State expresses no view on any issue currently in litigation. U.S. policy will continue to support the fair and just resolution of claims involving Nazi-confiscated art, in light of the provenance and rightful ownership of each particular work, while also respecting the bona fide internal restitution proceedings of foreign governments. But our federal courts seem to have forgotten the lessons of history and appear to treat one of history's greatest property crimes - and the postwar laundering of Jewish property by German museum - as some kind of ordinary series of commercial transactions rather than the criminal conspiracy which they were. In Schoeps v. Free State of Bavaria, 13 Civ. 2048 (SDNY June 27, 2014), the Southern District of New York forgot this history, this law and this commitment. 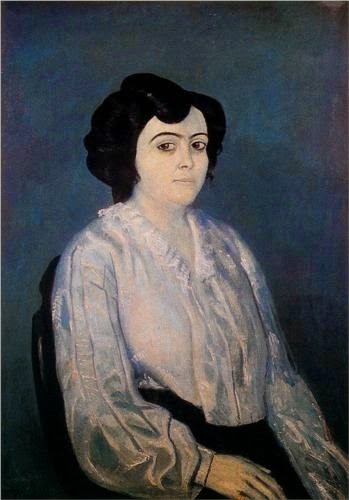 Schoeps alleged a forced transfer of Picasso's Madame Soler from Nazi victim Paul Bartoldy-Mendelssohn in 1934. Shady art dealer Justin Thanhausser took Madame Soler and brought it to NY. A top Bavarian museum official came to New York and eventually arranged to have the Bavarian museum acquire it through a transaction involving a Leichtenstein trust in a transaction that the SNDNY concluded was structured to evade US taxes. So where we have a transaction involving laundering stolen art that occurred in New York, involving a painting located in New York, structured as a criminal transaction to evade New York and federal taxes, and to repatriate the spoils of Adolph Hitler's thuggery, and where the courts of Germany provide absolutely no right to relief, the plaintiff correctly brought the case in New York, right? Not according to the decision in Schoeps v. Free State of Bavaria where the court construes the facts against the plaintiff (while arguing that it is doing the contrary) and coming to the conclusion that Bavaria is shielded in sovereign immunity. This decision runs counter to Cassirer v. Kingdom of Spain, 580 F.3d 1048, 1064 (9th Cir. 2009); Cassirer v. Kingdom of Spain, 616 F.3d 1019, 1037 (9th Cir. 2010) (en banc) which found that the Kingdom of Spain is not entitled to sovereign immunity for acquiring Nazi looted art and permitting a Jewish victim's case to proceed. California federal courts are getting it right. Let's hope that the Second Circuit reverses this terrible decision and orders the SDNY to let the case proceed. It is about time that the courts shouldered the responsibility of carrying out the task entrusted to them and taking the criminal profits away from the Nazi wrongdoers and their successors-in-interest. Facinating subject , I saw the Klimt from vienna musem were finaly given back to their original owners a couple of years ago due to US court decision. As you said the way those cases were treated untill now are outrageous, and to many Nazis and nazis robbed properties were left out of the justice net .